Pain in the hip and surrounding area comes from a variety of sources. The joint itself may originate pain, while other conditions create hip pain as a symptom. 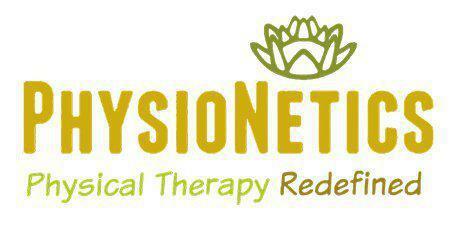 Whatever the nature of your pain, contact Dr. Varveris and her team at PhysioNetics Clinic in Naples, Florida. Their experience with many physiotherapy techniques and treatments relieve hip pain and improve mobility. If hip surgery is in your future, PhysioNetics clinic provides pre and post-op treatment protocols to help you through the process. What causes pain in the hip area? The location of hip pain is often an indicator of its cause. For example, problems with the hip joint itself usually cause pain on the inside of the hip and in the groin area. Pain on the outside, upper thigh and buttock area point toward muscle, tendon and other soft tissue problems. Hip pain has several origins. Most common are injury and arthritis, while other underlying conditions often contribute to the start of pain. With older people, falls that were once non-issues may be complicated due to osteoporosis and Osteoarthritis in older patients is a type of wear-and-tear facture contributing to hip pain. That wearing can also lead to bursitis and tendinitis in the joint. I want to avoid hip replacement surgery. Are there treatment options to help? Absolutely. Hip replacement surgery is a last resort treatment when other alternatives fail. The surgery requires an incision between 2-10 inches, depending on the procedure. Recovery time lasts between 6 months to a year. While PhysioNetics does pre and post-operative physiotherapy, preventing surgery in the first place is the preferred outcome. They have plenty of treatment options to relieve hip discomfort before surgery becomes required. What hip pain treatment does Dr. Varveris and her team provide at PhysioNetics? Manual therapy, mobility and flexibility exercises and lifestyle training comprise basic treatment. Depending on the origin of the hip pain, soft tissue treatments such as radial pulse therapy, soft tissue oscillation, and Graston Technique manipulations revive and restore the fascia in the hip area. Cold light laser, Kinesio Tape, and iontophoresis augment fundamental therapy, extending its potential. PhysioNetics provides the NuStep® recumbent cross trainer and AlterG stabilizing anti-gravity treadmill along with custom exercise plans to minimize stress on the hips while permitting aerobic and mobility exercise. If you’re suffering from hip pain, call or schedule an appointment online with Dr. Varveris.